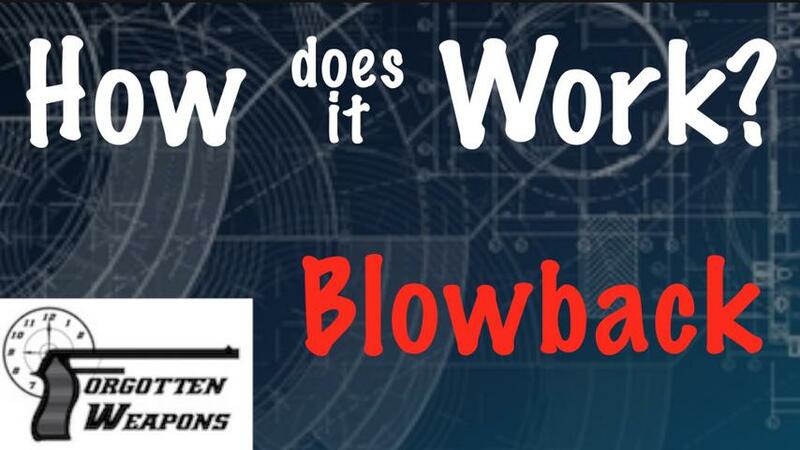 The simplest for of firearms action is blowback, also called simple blowback. It is basically just an application of Newton's 3rd Law; that for every action there is an equal and opposite reaction. As the bullet moves forward down the barrel, the slide or bolt of the gun moves backwards. The two move with the same energy, meaning that the light and very fast bullet is balanced out by the heavy and slow bolt or slide.